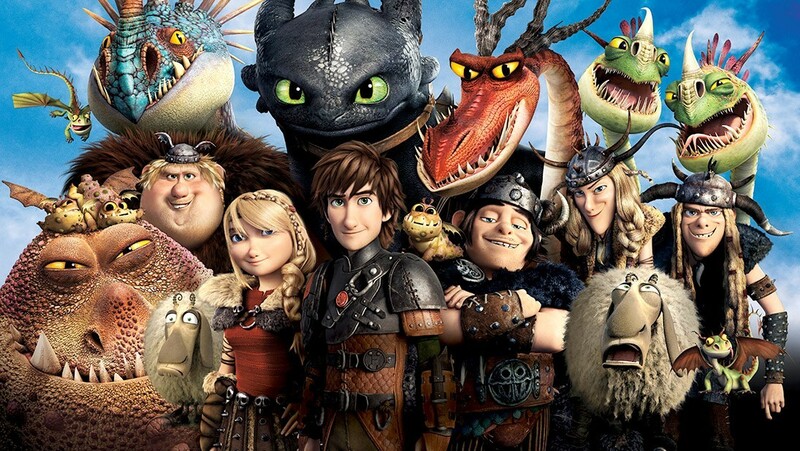 How to Train Your Dragon, I realise whilst watching the night before the event, has a strong anti-war message. Not only that, it uses planelike symbols as the threat – spraying fire onto the village where civilians live. Maybe the anxiety is kicking in but the message is definitely there. I admire the film for this reason though I could do without this feeling, knowing that I am attending this event as the villain. The first film opens with a passive and powerless sheep being plucked from the ground by a dragon. The sheep communicates the threat of dragons but is uncaring enough to play as comical. The second film builds on this idea when a flock of sheep huddle together and hide in the shadows from the dragons above. Playing to huge laughs the tone somewhat shifted in my head… maybe because they seem terrified now, or maybe it was influenced by a series of interviews that I listened to with the families of drone victims (a fun day that was). At this point the paranoia is building as I consider that How 2 is going to reinforce the first films anti-war sentiment. I’m feeling like I won’t be able to excuse my presence here. Like there is some greater conspiracy as to why this ticket had freed up so suddenly. I’m taking a bullet. Me. A humble civillian. A lone sheep. If only I could have mingled a little more to find any other writers from military publications, then I could have hidden amongst them as we darted to shelter. It turns out that these terrified animals are just playing pieces in a game; a celebrated sport of the new-Berk in which our now young-adult band of Vikings play a form of Quidditch – a black sheep in place of the golden snitch. Despite this one oversight it seems that there has been peaceful cohabitation between species since the first film; between nations perhaps. Let’s hope this changes for the sake of my anxiety. As ruined by the trailer Hiccup is reunited with his mother (Dean Deblois speaks through gritted teeth and a false smile when he tells us that he knew that the studios would spoil the surprise). At this point in the story we learn the origin of Hiccup’s empathetic nature: in place of his father’s hyper-masculine father Stoick is Valka, a dragon-riding pacifist. I catch myself finding reasons to dislike her. There is continued use of the first films non-verbal connection between characters. Not solely between Viking and dragon but between Hiccup and his parents. Recurring use of hands touching faces and long shots looking into eyes carry forward the heart of the first film which seemed to be anomalous for Dreamworks. Dean Deblois is frighteningly kind and does everything to off-set my pulsing anxiety. He speaks with a soft voice and through a constant smile. For a cumbersome man he holds himself rather humbly. A toothless dragon, or friendly Viking maybe. I still feel out of place amongst these journos who control the start of the interview, so I try to impress him with a question about Hiccup’s character arc – it’s like I’m vying for him to reach out and touch my face to reassure me that I belong here. The first film established Hiccup (Haddock Horrendous III) as unable to kill a dragon. He looked into Toothless the NightFury’s eyes and realised that the dragon was just as afraid as him. He saw through the Hobbesian paranoia, the attack-out-of-fear-of-being-attacked mentality and freed him. Their likeness and co-dependency is reinforced throughout both films – none more powerful than the end of How 1 in which Hiccup loses his leg. Not allowing the young hero to escape unscathed this unexpected turn inextricably links him to Toothless through his own damaged tail. An incredible detail that Cressida Cowell kicks herself for not thinking of. Destroying the concept of the ‘other’ How 1 ends with Vikings on the backs of dragons. Peace and harmony. So I can only hope that this film is going to show how that was all wrong and there really is a reason to be weary. A new villain that justifies war. Another other that is more other than the other other. A little more adventurous in his 20s Hiccup has taken to mapping the world. 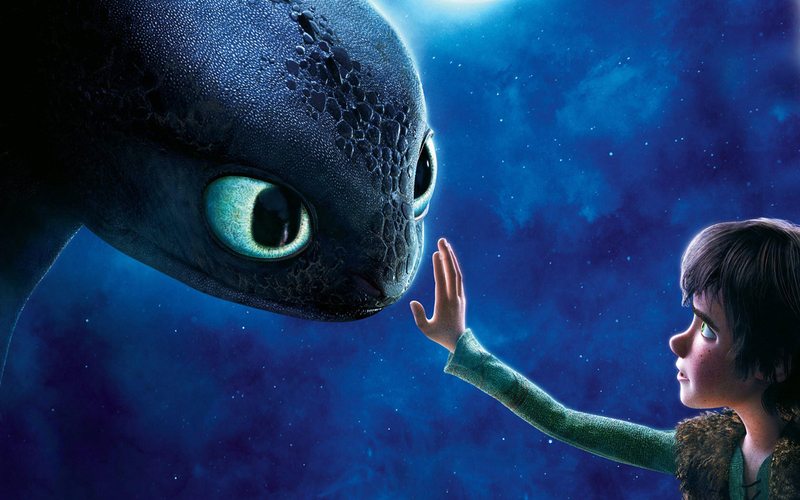 Flying with Toothless, and sometimes alongside him thanks to his squirrel-suit, he charts undiscovered land – there is an interesting parallel here between the more advanced technology of the characters, and the animation through which it is captured. It is while he is out roaming that he comes across a band of Viking pirates who are stealing dragons to build an army. They have found the other other! Turns out this other is lead by a vengeful human. War is coming. Justified war. Finally! We didn’t get to see much more of the film, which I’m grateful for. Whilst the clearly agitated audience wanted more, I was quietly relieved. Hiccup and his do-gooder mother are wrong at this point, war is inevitable. We need planes dragons as weapons because evil does exist. I’m happy with this second act climax before I shuffle along to the suite upstairs where I bottle my anxiety, only for that bottle to be smashed on the ground by the journos there waiting. Still, it could have been worse – I’ll watch the rest of How 2 from the comfort of my own home, safe in the shadows, and hope that Hiccup was right after all.